PlanGrid co-founder and CEO Ryan Sutton-Gee doesn’t exactly fit the mold you might expect from the founder of a San Francisco-based that recently graduated from the super selective Y Combinator incubator. Sure, he’s young and super smart. But when you meet him, he’s not really up on the latest inside baseball Silicon Valley chatter — what startup is raising at a crazy high valuation, which entrepreneur recently Tweeted something juicy, the latest leaked memo from a senior executive. That’s because when he and his team are not knee-deep in coding their app, which debuted this past spring bringing full-resolution blueprints to the iPad, they’re out talking to folks who move in a completely different realm than the target audience of most early-stage apps: Construction. That focus on their customers has paid off so far. 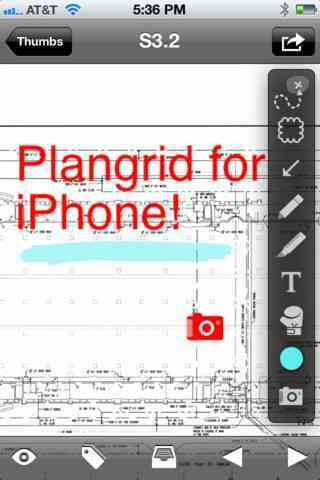 PlanGrid, which has raised $1.1 million in seed funding from a bevy of big-name investors, already has paying customers at major construction sites nationwide, from a brand new California hospital to a major urban center’s new transit complex. 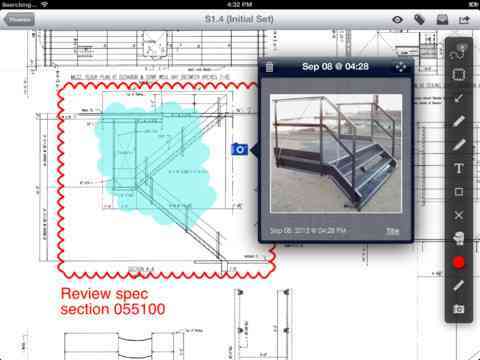 And this week, the company rolled out version 2.0 of its app, which is now optimized for both the iPad and the iPhone. 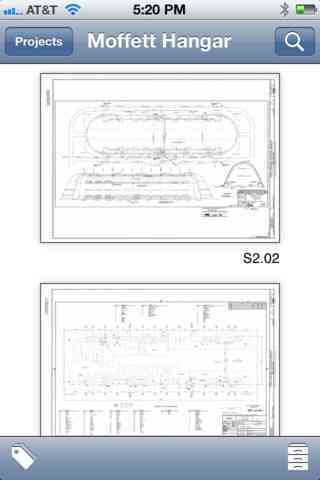 PlanGrid 2.0 also has a handful of clever new features, such as the ability to add photos to the blueprint documents to monitor a project’s evolution over time.